Rasco FR Khaki Reflective Work Shirt, 7.5 oz. 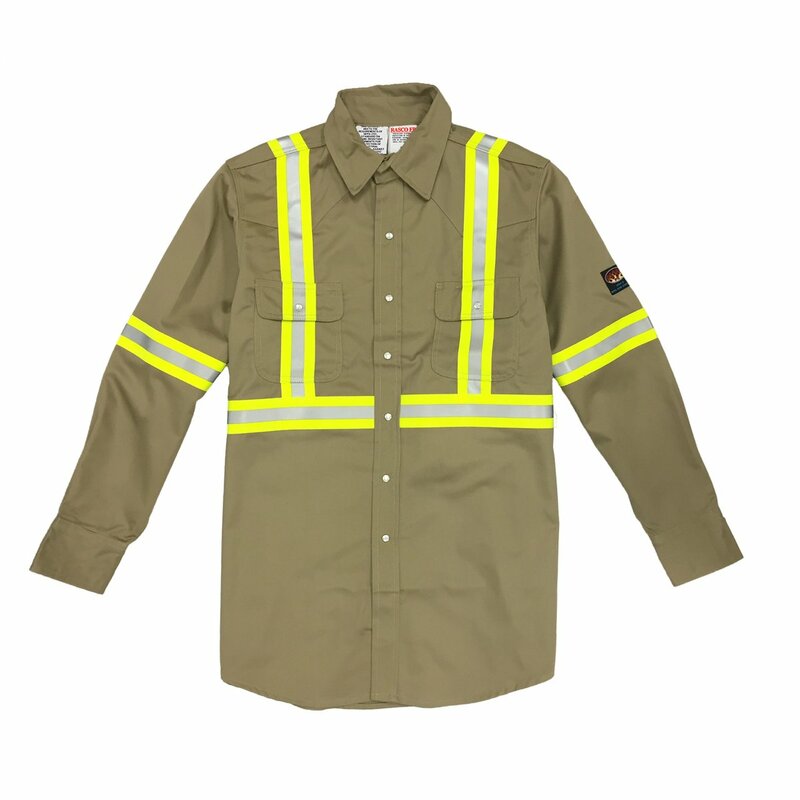 Rasco FR Khaki Reflective Work Shirt is an excellent workwear offering flame retardant protection and enhanced visibility. Made of 100% treated twill cotton, lightweight at 7.5 oz. with a 2-inch reflective silver and yellow tape across the front, back and arms for maximum visibility. Built for comfort and style, the Reflective Work Shirt features a spread collar, button down placket front, chest pockets with flaps and snaps and comfortable button cuffs. This work shirt has NFPA 2112 protection and ASTM F1506 UL Classified, it meets NFPA 70E requirements and has an HRC 2 rating, ATPV 9.8 arc protection. Also available in Navy and Gray. Affordability: We want you to be able to get the equipment you need for your whole team at a cost-effective price. To show you our commitment to this goal, we even offer a first-purchase coupon. All you have to do is sign up for it! 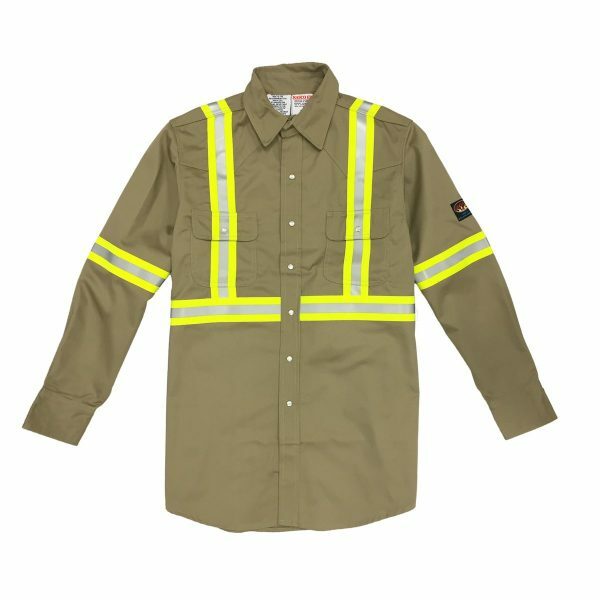 Availability: Whether you need one of our FR work shirts with a reflective design, another safety apparel item, pavement markings and maintenance products, signs, or any other equipment in this unique industry, you’re sure to find it in our selection. Assistance: Our staff is trained to answer your questions and provide the information you need to make an informed decision about the equipment you purchase. We’ll offer the advice you need to get items that will assist you in your unique applications and fit within your budget. When you’re ready to order cotton FR work shirts or any other products in our inventory, you can do so online with quick, reliable shipping or visit our retail location to try gear on and leave with it that same day. Get yours now!